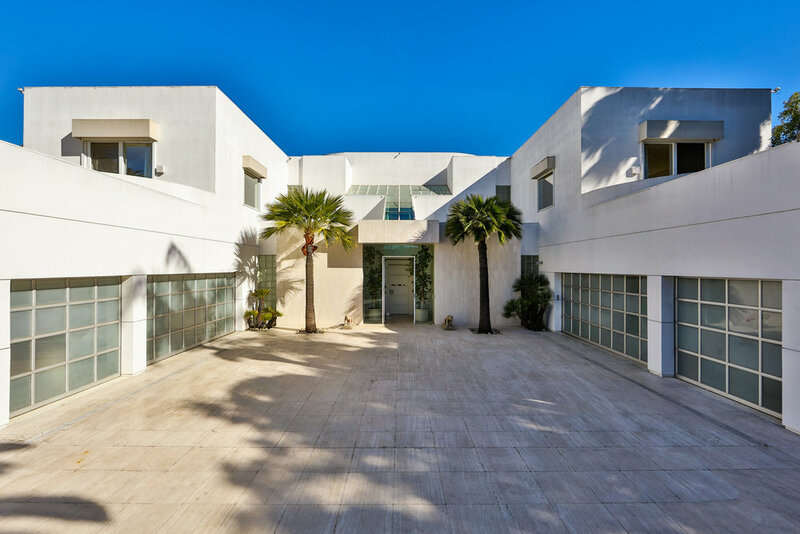 The estate of the iconic best selling author Jackie Collins custom built in 1991 on just under 1 acre in prime Beverly Hills flats. Gated and set back from the street with large motor court + 6 car garage. Incredible two- story gallery entry with sweeping staircase, large scale public rooms along with intimate family areas. Over 100ft art gallery connects to guest apartment, offices, gym, screening room, and much more. Major chefs kitchen with three center islands. Luxurious master suite complete with living room, office, his and her baths and huge walk in closets. Balconies overlooking grounds with views of Hollywood Hills. This estate cannot be replicated.